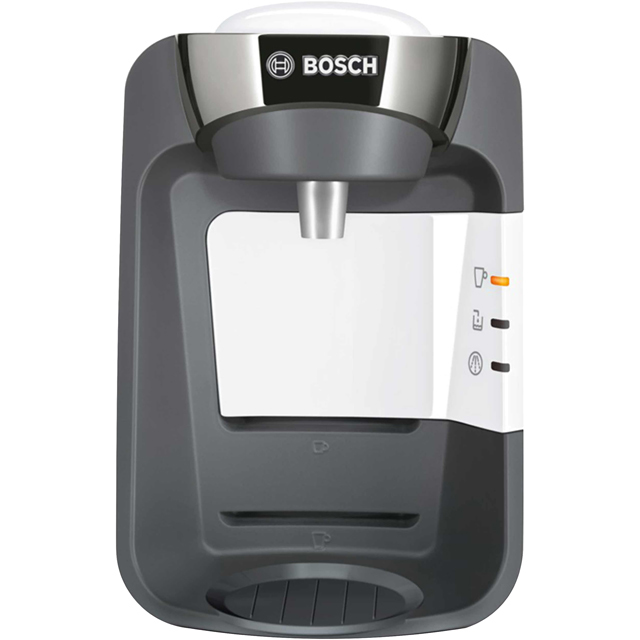 Prepare fresh coffee at the touch of a button with this coffee machine from Bosch. 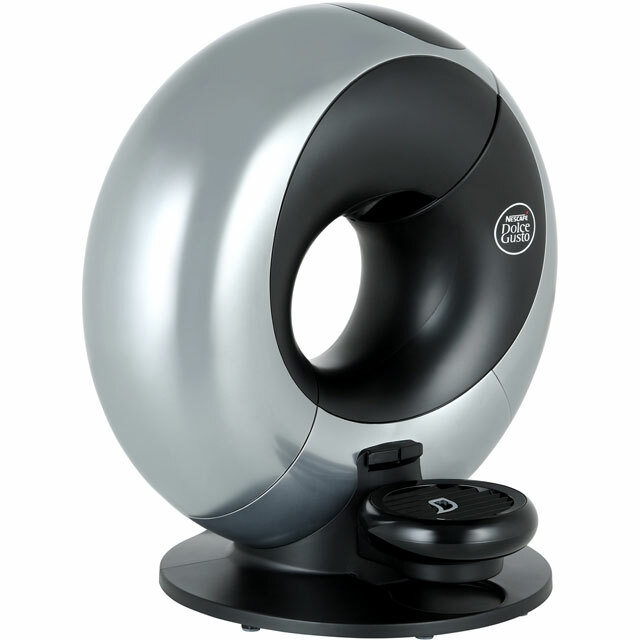 With its sleek and compact design it’ll add a touch of style to your kitchen. 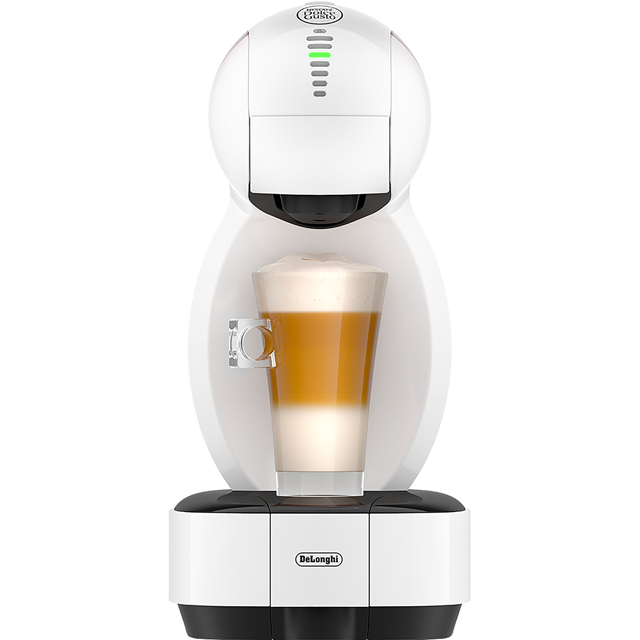 It’s really easy to use, simply press your cup into the back panel for your delicious cappuccino, Americano or latte. The 0.8 litre tank is easy to remove and refill, it holds enough water to make a tasty hot drink for your whole family to enjoy. And, clever barcode technology prepares perfect hot drinks every time. Love this machine good variety of coffees available also has tea and hot chocolate options too. Quick and easy to use would highly recommend. This replace a much more expensive machine which had lots of functions I never used. No choices to make here. It just does what I want. Maybe I need to try and find a stronger pod of coffee because the ones I have are not really satisfactory. The machine works fine though.. I love this machine. You can buy all kinds of diffrent capsule so you can make tea, coffee, cappuccinos, lattes and hot chocolate at the press of a button. 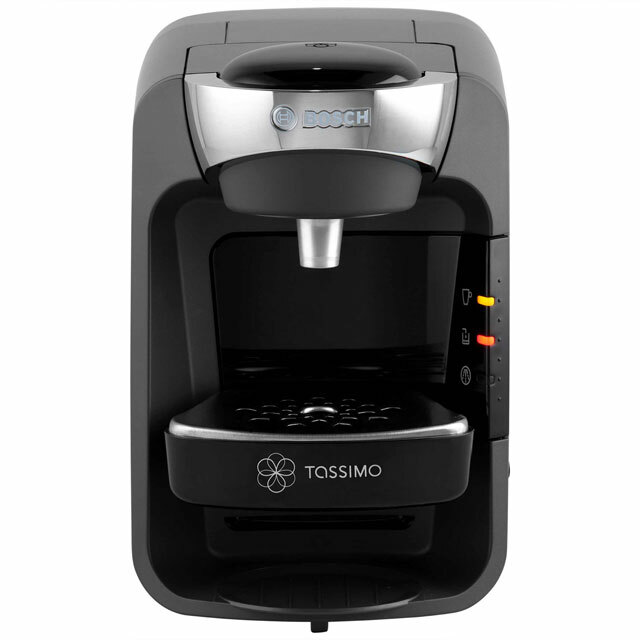 The machine is very easy to use just put a capsule in the lid, close and press the button. The machine knows how much water shoud be used by reading a barcode, this ensures you will get the perfect drink every time. Cleaning is very easy just use the service disc to clean the noozle. About once a year the machine will need to be descaled by using some special tablets that you can buy directly from the manufacturer the machine will blink a light when it is time to descale. My only con with the machine is the water reservoir, it is very small, you can only make about 2 cups of coffe until you have to refill the reservoir, but it is really easy to refill it. Stylish machine. Very easy to use and it has a wide range of capsules to use. Very good!